Come to Dauphin Island and enjoy the sun, sand, and beautiful ocean views. Lay back, relax, and enjoy your vacation.. Please visit my Real Estate Website for information on home SALES. 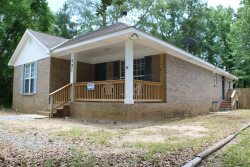 Here you will find a wide variety of useful resources designed to help you buy or sell a home more effectively in the Dauphin Island areas. "Perfect house in a perfect location!!! Can't wait to stay again. ~Sophia and Evan We have had a wonderful time here and are taking home..."
Our little piece of paradise has gorgeous white beaches and rolling sand dunes, with great fishing, boating, and many fun activities for all ages. Dauphin Island is a great place for get away vacations, family vacations, friends getting together for vacations, holiday vacations, and a great place to live. Explore the history of the Island, the acres of unspoiled nature, and the pristine beach fronts. Dauphin Island is a rural quiet town without traffic lights. We have great fishing, beautiful beaches, historical Civil War - Ft. Gaines, 165 acres of bird sanctuary with trails and a fresh water lake, an 18 hole golf course on the Gulf of Mexico, fishing pier, bike path, marina, Indian Shell mounds, as the Dauphin Island Estuarium/Sea Lab. Dauphin Islands grocery store, Ship-N-Shore, has everything you would need during your time at the beach. Sample fresh and tasty Gulf seafood along with our famous Southern cuisine. 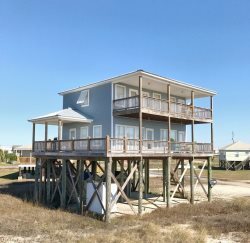 Whether you are looking for an exciting family adventure, a relaxing beach visit or exploring nature and bird watching Grace Tyson Real Estate can help plan your perfect Dauphin Island vacation getaway. 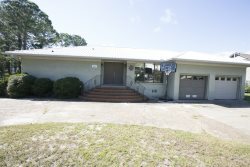 Grace Tyson Real Estate, Inc. offers quality Dauphin Island vacation rental homes ideal for getaways, family vacations, reunions, business conferences, and retreats. 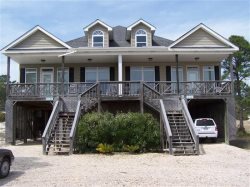 We offer Dauphin Island Vacation Homes ranging in occupancy from 4 to 17 guests. Prices vary per season: Winter, Summer and Spring/Fall. We will take reservations one year advance. Check out our calendar event to find out what's going on! Dauphin Island always has many different activities for guests of all ages.